Crown Princess Mary of Denmark celebrates her 44th birthday. Crown Princess Mary was born on February 5, 1972 in Tasmania, Australia. She got married with Crown Prince Frederik on May 14, 2004 and the wedding festivities took place at Fredensborg Palace. The couple have four children, namely, Prince Christian, Princess Isabella, Prince Vincent and Princess Josephine. Happy birthday to you, Crown Princess Mary. Vous avez raison. Très belle et gracieuse Mary! Agree, she is one of the beautys with brown hair as Pauline Grace Ducruet and Princess Sophia and Emma Watson. Mary happy returns, pretty princess. Beautiful picture! 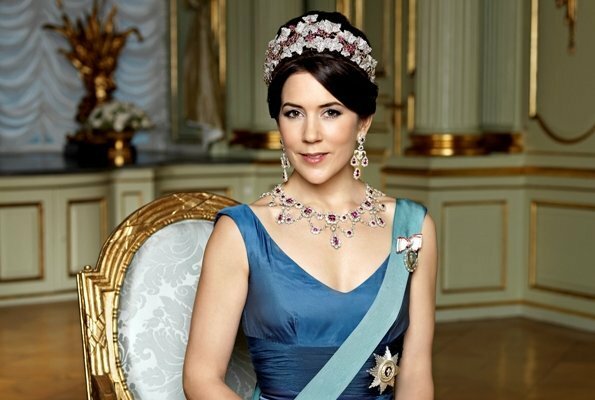 Happy Birthday Crown Princess Mary! Happy Birthday to CP Mary. Happy birthday queen Mary ! Don't get your knickers in a twist it was queen with a small 'q' indicating the word was used as a descriptor not a proper noun as the capital 'Q' denotes. Happy Birthday to the very lovely Crown Princess of Denmark. Bon anniversaire à la princesse héritière Mary. Beautiful Mary, have a wonderful day. Still very beautiful! … But this picture is 7 years old (Officical picture from New Year's Banquet 1st of January 2009). Oh then I understand. Was wondering about photoshop looking at her face compared to the other pics of her recently. Sweet Mary, enjoy your day. A little late, hope the Princess Mary a lovely day.